A senior lecturer in the school who begged not to be named told DAILY POST that the 55 students were turned down by the institutionâ€™s authority for wearing Hijab on top of their uniforms Monday morning. 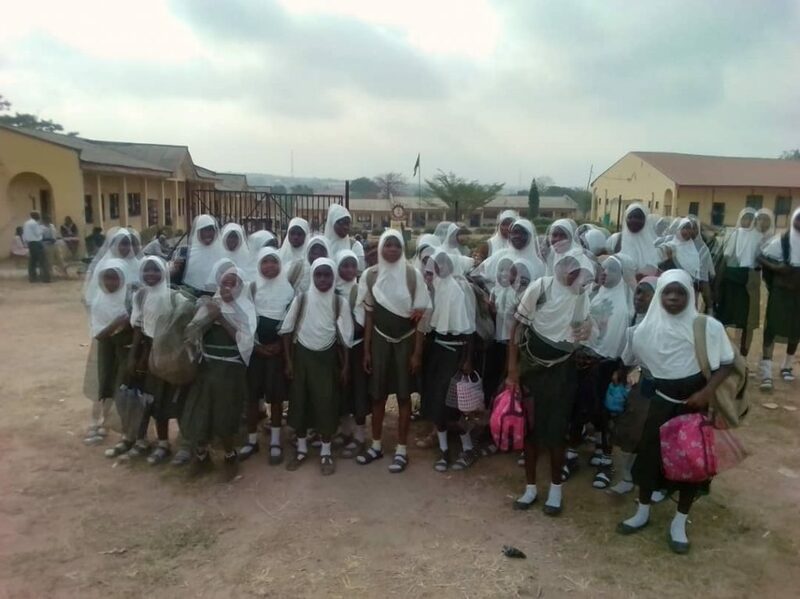 He said, â€œHijab Imbroglio: Welcome to LAUTECH Secondary School, Ogbomoso, Oyo state. The story was dated back to 2011 when the first request was made to the Governing Board of the School to allow our willing Muslim females Children to use Hijab as part of their school uniform in line with Islamic dictate. â€œSince 2011 barely eight years ago, several letters of appeal had been written to the GC while we wait endlessly without any concrete positive response to our simple request. â€œOur Muslim girls over the period have been using Beret instead of Hijab in their own case contrary to the Islamic dictate. â€œWhile our patience overtime as law-abiding citizens was premised on our belief that the Management of the School will do the needful and give regard to the rule of law & provision of the Constitution guaranteeing fundamental human right of everybody. When asked by DAILY POST to give an update on what was going on in the school, the senior lecturer said, â€œThe Children are in the school presently, teachers are threatening. They are removing Hijab from them. The girls disagreed. They disallowed them to enter. Itâ€™s noise presently. The school is still on. Our Muslim children that used Hijab are still outside the schoolâ€. He told DAILY POST in a telephone conversation that, â€œI donâ€™t know because I have to discuss with the Chairman of the board first. â€œThe school board of governors is yet to approve the use of Hijab. And the board is looking at their letter. So we are yet to communicate them. Until we communicate with them, the status quo remains.